Just 90 days after fracturing his pelvis, knee and breaking multiple ribs in a shocking 96G crash, Preston Hire Racing’s Lee Holdsworth returned to the Virgin Australia Supercars Championship today at the Wilson Security Sandown 500. Stepping from the car after first practice, Holdsworth said he was excited to return to the racetrack in his Holden Commodore. He is now pain free and aiming to reinvigorate his season with standout results across the Pirtek Enduro Cup. His co-driver Karl Reindler contested the last round at Sydney Motorsport Park in Holdsworth’s absence, and has miles under his belt preparing for the long-distance races. 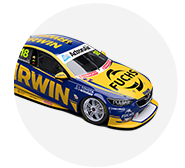 “Obviously it has been a long time for me out of the seat,” Holdsworth said after this morning’s half hour session. “The body feels great, car feels good, so I feel like this is the point of the year we can try and salvage something. The Pirtek Enduro Cup was introduced in 2013 and is awarded to the driver pairing that earns the most points across four races – this weekend’s Sandown 500, the Supercheap Auto Bathurst 1000 and two races run at the Gold Coast. Holdsworth finished fourth with Craig Baird in the first year of the mini-championship with Craig Baird in Erebus’s first year as a Mercedes-Benz outfit, so he is hopeful rookie team Preston Hire Racing would be capable of solid results. “We were never in for a shot at the big drivers’ championship in our first year in it, was never going to be something in our sights but we were certainly picking up momentum along the way and things were looking pretty good. While Holdsworth reported a positive test at Winton a fortnight ago, where he estimated he’d completed 300km, he admitted there was still some pain while driving. Today, though, he’s as good as new. “I feel great – two weeks ago we were out testing and I did still feel some pain while driving but jumping in this thing today feel nothing, it was all good. The team debuted its current Triple Eight chassis with Reindler at SMSP. 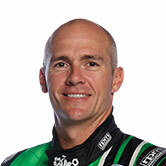 Holdsworth finished 20th in the first practice session, while Reindler was 19th in the co-driver only session. Team boss Jeff Grech revealed the team had only used one set of Dunlop soft tyres in Holdsworth’s run.